YOU WORKED HARD TO MAKE YOUR HOUSE A HOME. LET US HELP YOU STAY IN IT LONGER. American Home & Bath is a local veteran owned and operated business. Fully licensed and insured, we are committed to providing American-made products and exceptional service at an affordable price. We do not believe in high-pressure sales tactics or gimmicks. We specialize in bathroom remodeling and home renovations, including accessible bathing. We offer a full line of walk in tubs and barrier-free showers, as well as accessible bathing solutions, such as the CleanCut tub cutaway system. We invite you to compare us to nationally advertised brands, we are confident you will find our work and our Best Bath products to be of a higher quality at a much more affordable price. Contact us today for a free in-home or showroom estimate. We would like to thank you for the time and help given to us as we purchased and installed our walk-in tub. The tub and accessories came exactly as ordered and were of exceptional quality. We have used our Best Bath many times since purchased and it’s wonderful. I’m sure glad I ordered it with both air and water jets. I must say that I shopped for a good price and a quality product. American Home & Bath provided both. Thanks again, we’re both very pleased. I am very happy I chose American Home & Bath to renovate my bathroom. They did a beautiful job installing my new walk-in bathtub and ceramic tile floor. The men were very courteous and professional. They were always here when they said they would be and the job was completed within the designated time frame. The Best Bath walk-in bathtub will enable me to stay in my home longer. Just a note to let you know how much I enjoy and appreciate my walk-in bathtub. Because of my knee and hip problems, it had become difficult and dangerous for me to use my conventional tub and shower. With the new walk-in that you installed, I can get in and out of the tub easily and safely. The heat and massage jets are very therapeutic and relaxing. Additionally, I appreciated the one day installation, the detailed instructions on the use of the tub, and the follow-ups from you, making sure that I was completely satisfied with my purchase and the installation. 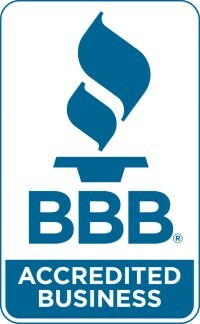 American Home & Bath is a veteran owned and operated business. Fully licensed and insured, we are committed to providing American-made products and exceptional service at an affordable price. We do not believe in high-pressure sales tactics or gimmicks. We specialize in bathroom remodeling and home renovations, including accessible bathing. We offer a full line of walk-in tubs and barrier-free showers, as well as accessible bathing solutions, such as the CleanCut tub cutaway system. We invite you to compare us to nationally advertised brands, we are confident you will find our walk-in tubs to be of a higher quality at a much more affordable price.